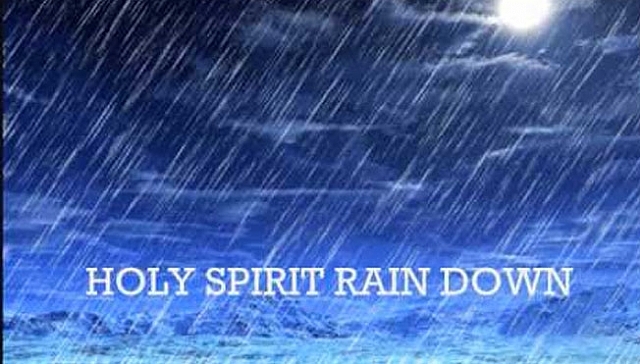 I will invade the dry bed and desolate places of your life with the rain of My SPIRIT, says the LORD. I will cause the barren ground to sing. I will cause the dry seed to germinate. I will create well watered gardens that were once an unproductive wilderness, I will cause the desert places of your own life to blossom like a rose. I will give beauty for the ash heaps of your life and cause that which is withered and blighted to bloom. For your shame I will give you double. For the exposure that you had of weakness and weariness and wretchedness will be turned around to be a display of blessedness. I will restore. I will make that which caused you open shame to become a place of the glorious display of My power. I will cause that which was inactive to be populated and active. I will enlarge your boarders and cause growth and expansion, says the LORD. For I will renew your strength, and bring life where there was death, light where darkness prevailed and joy where only sorrow and crying prevailed. I will turn things around. I will turn you around. I will come in the whirlwind of My Spirit and breathe new life in the midst of you, and you will know that I Am the resurrection and the life. I will shock you with the sudden change, for just as unpredictable as the storms of life seemed to come up from nowhere, I will overwhelm you with the waves of My glory. I will give you such joy as never before, and multiply my blessings upon you and I will be magnified in the midst of you. My kingdom shall be seen and My works will go forth and I will show Myself to be powerful in your midst as I bring the increase in totally unexpected and unsurpassed portions, says the LORD.